Color print of characters from Black Panther. Drawn and colored digitally in ClipStudio Paint. Quick art I did for my cousin. This is her Halfling character from Dungeons & Dragons. 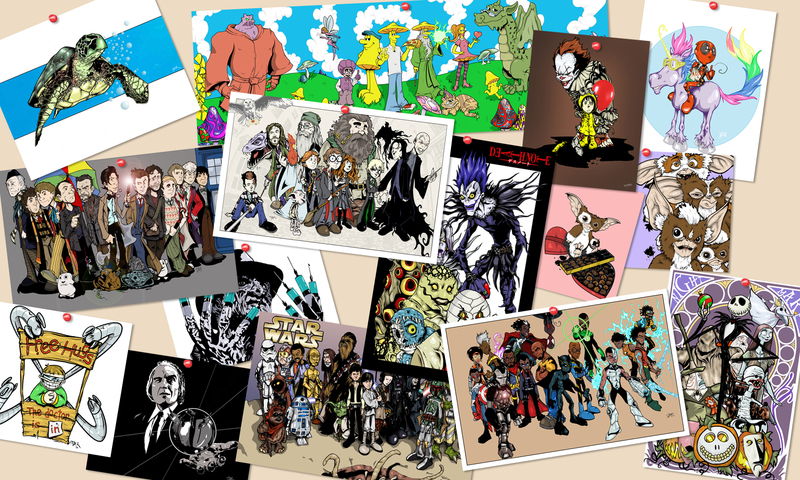 If you’re interested in commissioning some art for yours, contact me and let me know! Purchase Volume 1 on Amazon here! Purchase Volume 2: Chapter 1 digitally here! *SPECIAL* Black History Month Is’nana Sale! Email isnanamail@gmail.com directly and get 25% off of Volume 1 until February 28th! Art that is an homage to the The Hangover movie poster. I was commissioned to draw this for the 2017 Mellow Mushroom calendar. A drawing I did that won a Facebook contest and was selected to be the back of the 2016 Mellow Mushroom calendar.